The CRHF La Libertad Day Care and Volunteer Center for Community Dev. In what was once considered the most poverty stricken section of La Carpio, we have constructed an education and community center. Through the generous support of our donors and many volunteers these facilities have been able to provide quality daycare for children whose parents work, weekly medical seminars, playground, high quality education activities and workshops for women among many other activities. What used to be a sad, dirty, garbage strewn muddy lane has turned into a peaceful, colorful and hopeful neighborhood. Where our first goal was to have children attend school, our goal now is to have our students get the highest grades in their class. 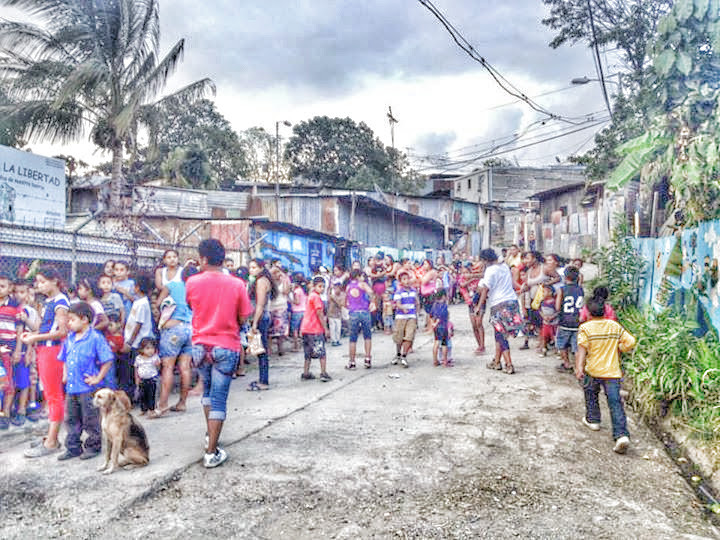 People from La Libertad wait eagerly to receive their new shoes.